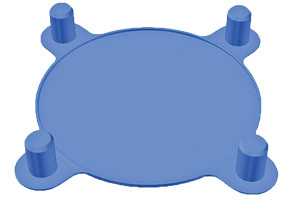 The blue bolted flange protector is used on SAE J518 code 61 3000-PSI flanges. 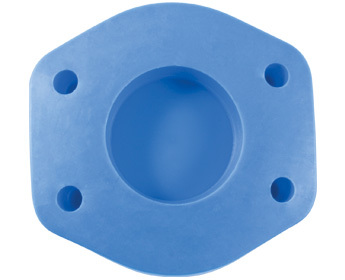 The red bolted flange protector is used on SAE J518 Code 62 6000-PSI high-pressure flanges. Both designs require no fasteners.